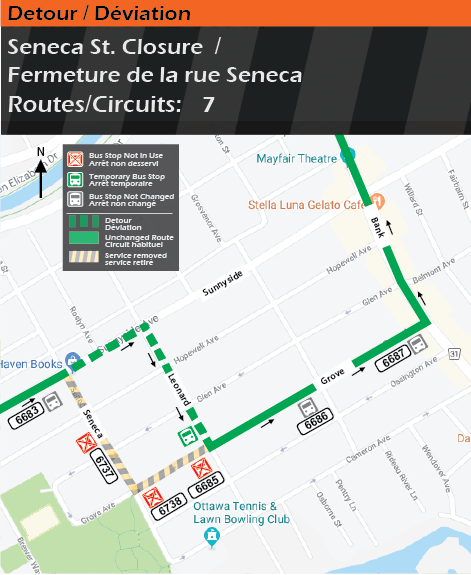 From 7:00 AM on Monday April 22 until 6:00 PM on Friday June 28 2019, route 7 will be detoured due to the closure of Seneca Street between Sunnyside and Grove. Please allow a few extra minutes for your travel. Route 7 St-Laurent will serve Sunnyside, Leonard, Grove and Bank.